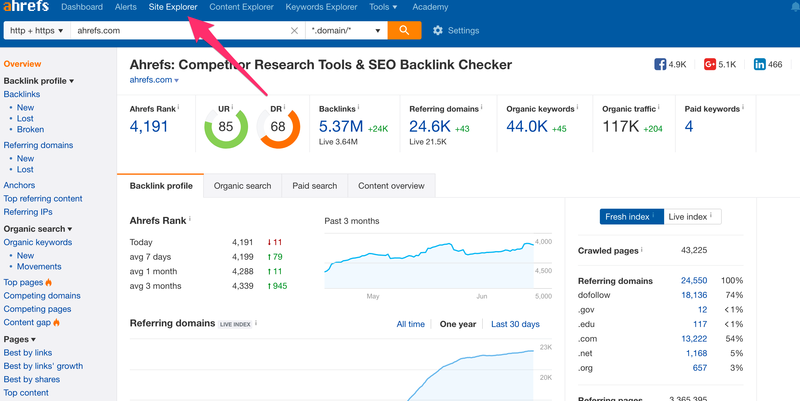 Find out how to create reports from Ahrefs Site Explorer. You can easily create a PDF report from Site Explorer in just a few clicks. Note: Lite and Standard plans entitle you to create an overview report while Advanced and Agency plans entitle you to create the full report. 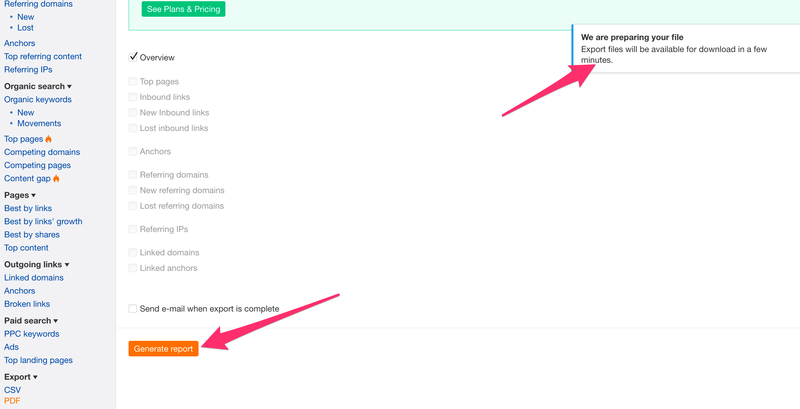 A full report consists of top pages, links, anchors, referring domains, referring IPs, linked domains and linked IPs to your website, on top of the overview report. First, click through one of your websites from the Dashboard or click on the "Site Explorer" tab on the main menu. On the side bar, scroll down to the bottom and click the "PDF" tab under "Export". Once the file export has completed, you will see a notification on the top right hand corner of the site. You can proceed to click the Download button. Or, if you would like to retrieve the exported files at another time, click on the "file icon" on the right hand corner. However, do ensure that you download the files within 2 weeks as they will be removed after that time frame.